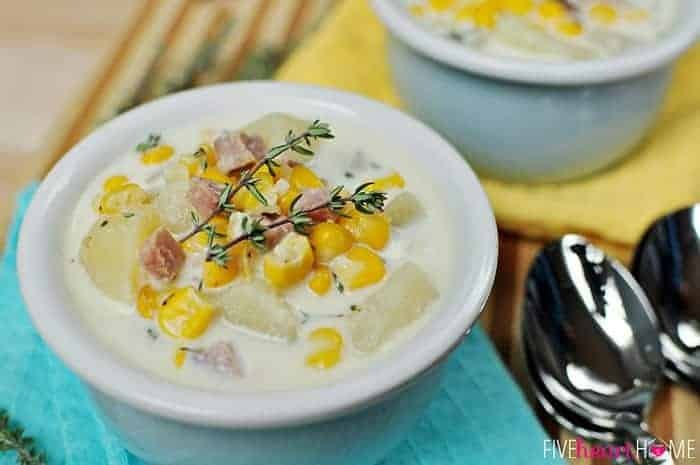 Let your slow cooker do the work for you with this creamy, comforting chowder, loaded with sweet corn, hearty potatoes, and flavorful ham. Winter is about to wear me out, y’all. One day (today), it’s 30°. By the weekend, it’s supposed to get up to 80°. Every time we get a taste of spring it freezes again, and every time we resolve ourselves to more winter weather, warm temperatures and sunny skies tease us, if only for a few days. On the upside, the indecisive weather at least means that we can still enjoy soup in good conscience, which in turn means that I can keep it on the menu rotation for the time being. Because let’s be real here…there’s not much easier than throwing some ingredients into a pot and walking away for awhile. If that pot happens to be a crock pot, well, even better. Let it do its thing all day long and, as an added bonus, your house will smell divine in the meantime. This is an incarnation of a soup I’ve been throwing together for years depending on what ingredients I happen to have on hand. 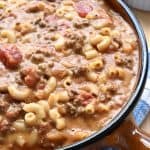 This meal is always a hit with the whole family, so I decided to measure out everything for a change and write it all down in order to share the recipe today. I almost hesitate to call it a ‘recipe,’ because it’s embarrassingly easy. But that’s my favorite category of recipe, and I imagine you don’t mind quick and effortless-to-assemble dinners either, right? 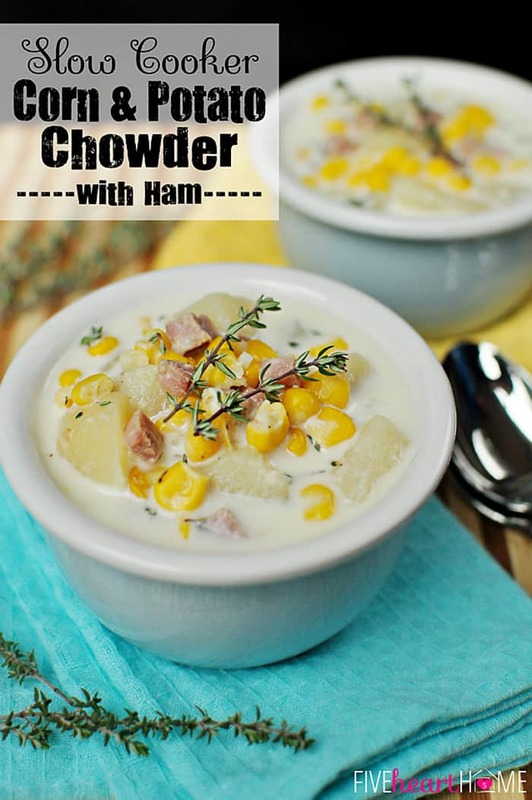 If you’re in a really big hurry to get it going, you can even make this chowder with frozen potatoes, like diced or shredded hash browns. Depending on how decadent you prefer the final result, feel free to add milk, half-and-half, or heavy cream to achieve that creamy broth. Just before serving, I like to scoop out a few ladles of potatoes onto a plate and gently mash them with a fork before stirring them back into the soup (it’s okay if you accidentally scoop up some corn and ham, too, as those will hold their shape through the mashing). This serves to slightly thicken up the soup while retaining the various textures of the different ingredients. Finally, you can eat this soup as-is, or jazz it up with shredded cheddar on top and crackers on the side. It’s equally yummy plain or embellished. 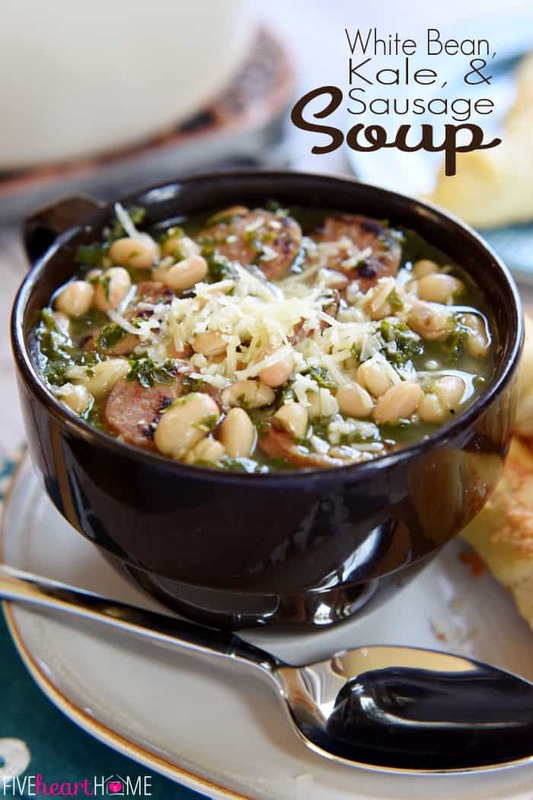 So while we wait for the groundhog to emerge for good, let’s at least take advantage of the dwindling days of soup season, shall we? I don’t know about you, but with a chowder like this to keep me cozy, I think I might just be able to endure a few more weeks of winter. 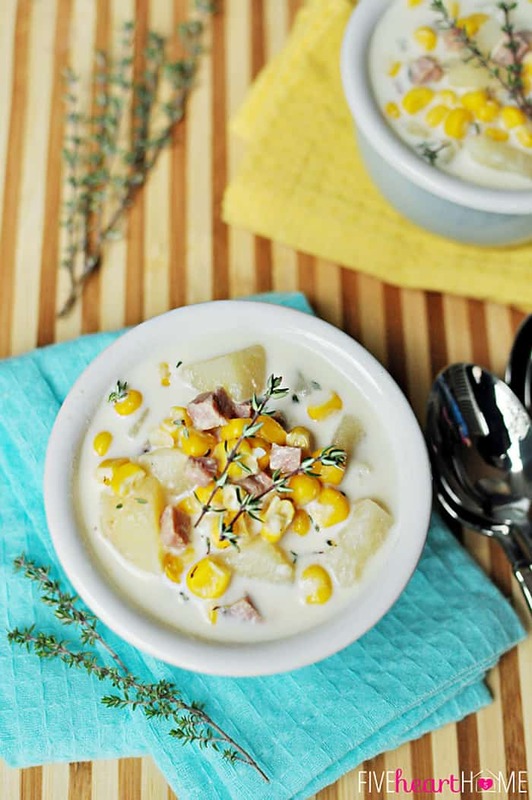 Place potatoes, corn, ham, garlic, and thyme in slow cooker. Pour chicken broth over ingredients, season with freshly ground black pepper, and stir. Cover and cook on low for 6 to 7 hours or until potatoes are tender. About 20 minutes before serving, scoop out 2 to 3 ladles full of potatoes onto a plate (it's okay if you scoop out a bit of corn and ham, too). Thoroughly mash potatoes with a fork and return to the crock pot, stirring them in to thicken the broth. Stir in the half-and-half, cover, and cook chowder for 15 more minutes or until heated through. 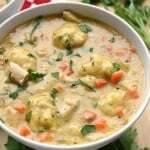 This recipe can also be made in a large pot on the stove. Saute garlic in a bit of butter or olive oil until golden, then add broth, potatoes, corn, thyme, and pepper to the pot. Bring to a boil and then reduce to a simmer, cooking for 20 to 30 minutes or until potatoes are tender. Remove some potatoes, mash, and stir back into broth, along with ham and half-and-half. Cook over low for a few more minutes until heated through. Samantha, this looks totally delicious! 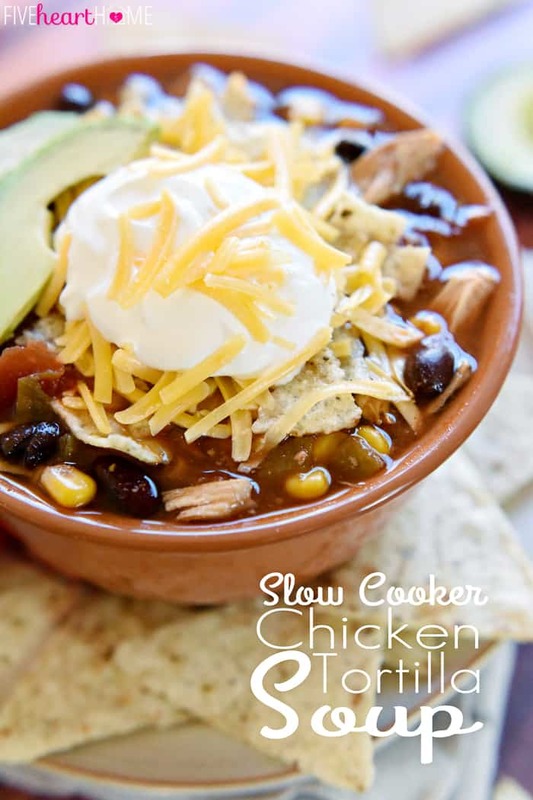 I really need to start using my slow cooker – can you believe I don’t?? I think I’m afraid to leave it on when I’m not here (a weird, neurotic worrier, am I!) This would definitely be a dish my hubby would love! Thanks for sharing and pinning – enjoy your day! 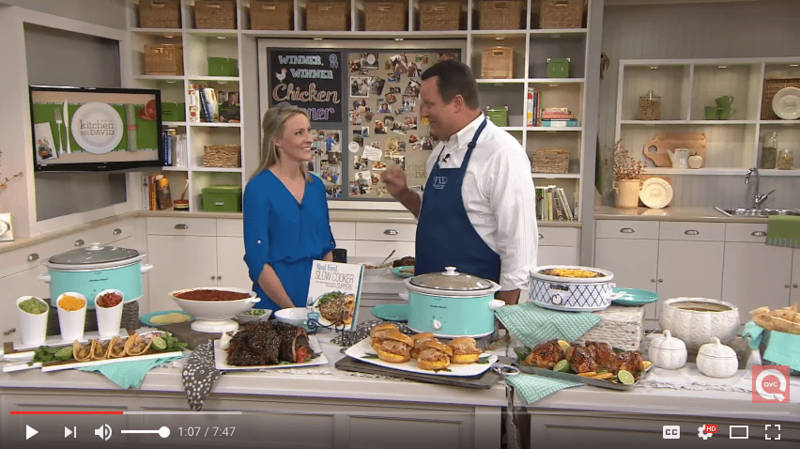 You should absolutely use your slow cooker, Cindy…it is so wonderful to come home to a dinner that’s already cooked! And you could always give it a test run while you’re home on the weekend if the thought of leaving the house with it plugged in makes you uneasy. 😉 Thanks for the pin and happy Friday! 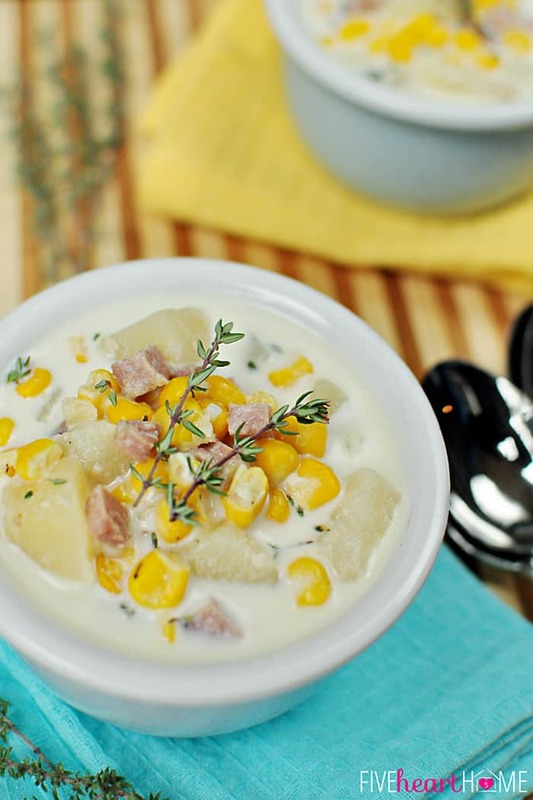 I love a good corn chowder and this one looks so easy! Thanks!! It’s good and easy, Julie, which means that it’s on our dinner rotation quite often. 😉 Thanks for stopping by…hope you have a wonderful weekend! 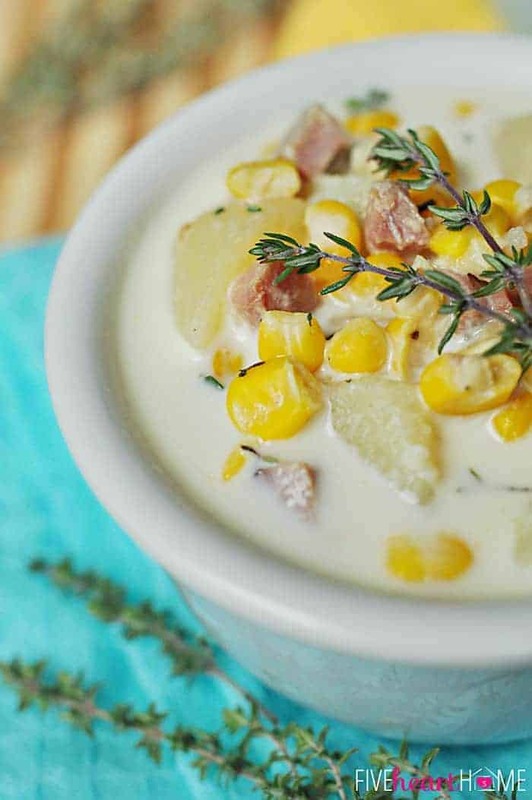 LOVE a good, creamy soup or chowder. This fills the bill! Texas has definitely had some crazy weather, pretty much the whole country has. We had a warm ‘tease’ (50s) last weekend, but it’s 19 right now, and expecting a LOT more snow beginning Sunday. Brrrrr!! Hope the forecast doesn’t pan out! Lol! The chowder- looks SO GOOD!!! The weather- oh what a roller coaster. Texas is so funny like that. I certainly don’t miss 80’s+ in the spring like we had when we were in NV. However- I will be happy to be out of our single digit temps here soon. Thanks, Gina! I can’t even imagine the single digits you’re enduring right now. I just hope that spring gets here soon for all of us! 🙂 Hope you have a great weekend! A snow storm and then sleet and then sunshine?! Are you sure you don’t live in Texas? 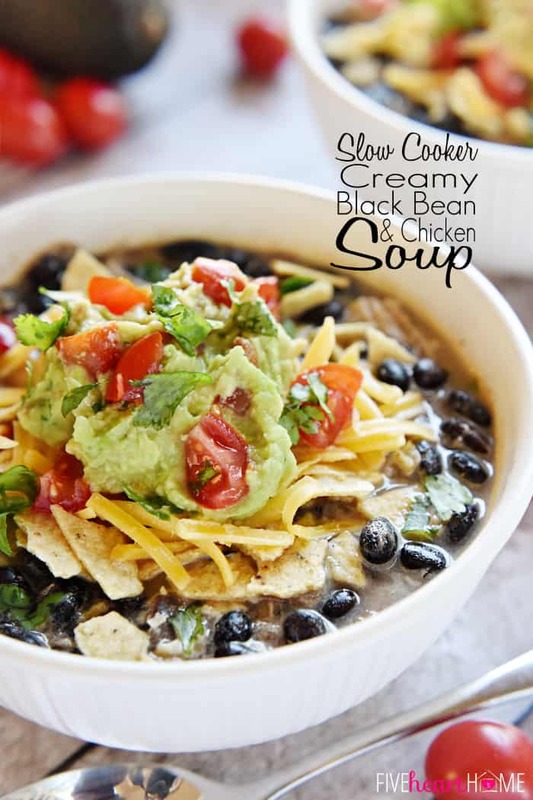 That sounds about how quickly the weather changes around here… 😉 I hope you enjoy this soup if you get to try it, Amy! And yes, the frozen potato shortcut is a total time saver when you have, like, 15 minutes to make dinner instead of 30. 🙂 Happy weekend! Looks simple and delicious. I guess this would be perfect for this weekend since we are supposed to have snow. Again. Thanks, Ashley, and I appreciate the pin! I am totally with you…I love soup. It makes getting through the winter months a little more bearable for me. 😉 Thanks for stopping by…hope you have a great week! 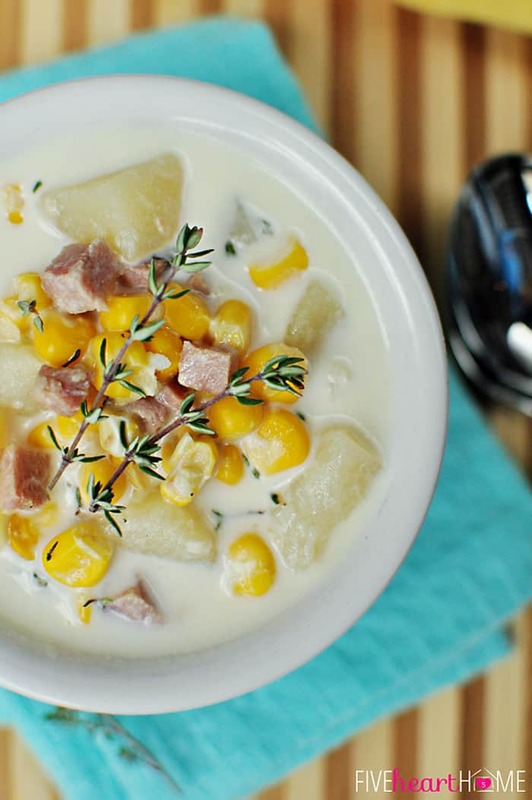 I’m always up for a big ol’ bowl of deliciousness, like this chowder! 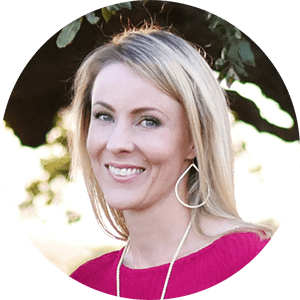 I’d love for you to come link up at my Simple Supper Tuesday linky party. Would I be able to freeze this? Wondering how it would be after since it has potatoes and cream. All beautiful recipes Samantha. Thanks so much. Thank you, Liz! Hope you had a wonderful Labor Day weekend! This looks delicious. 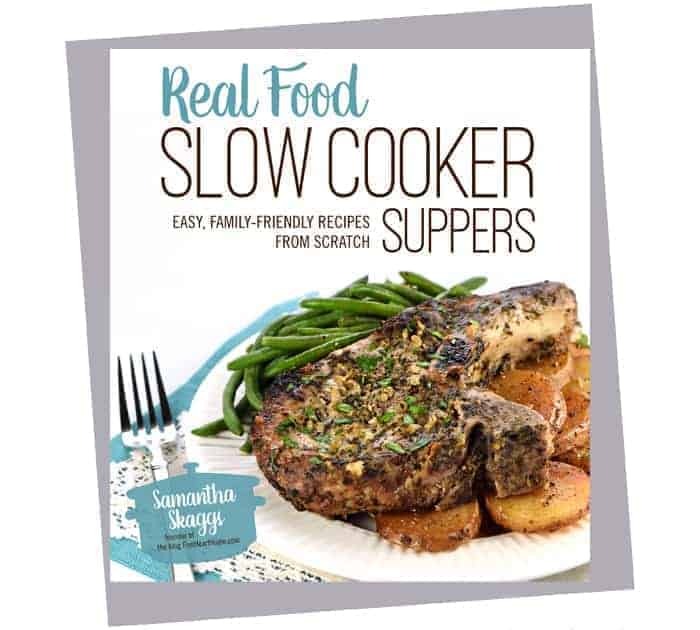 Which size of slow cooker should I use? I have a 6Q and a 4Q. Hi Jen! I use a 6-quart crock pot for all of my recipes, so that’s what I’d recommend. 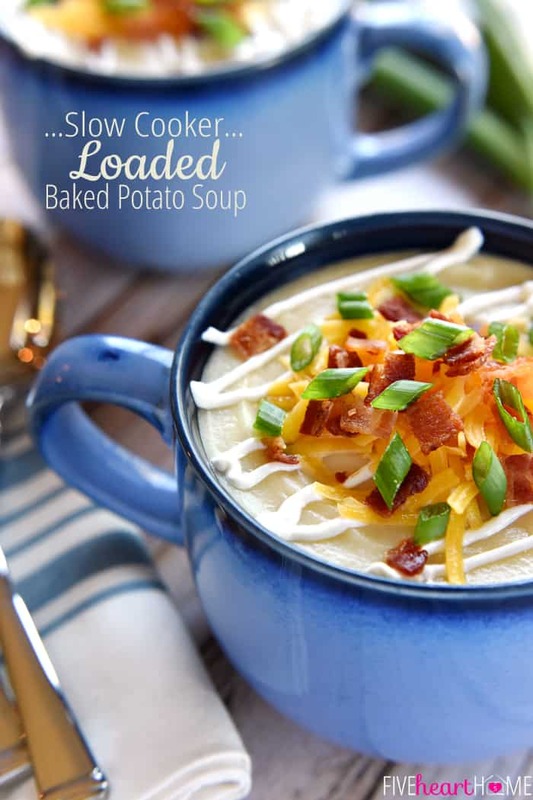 After making this soup the first time, you might be able to judge if it would fit in your 4-quart crock pot next time. 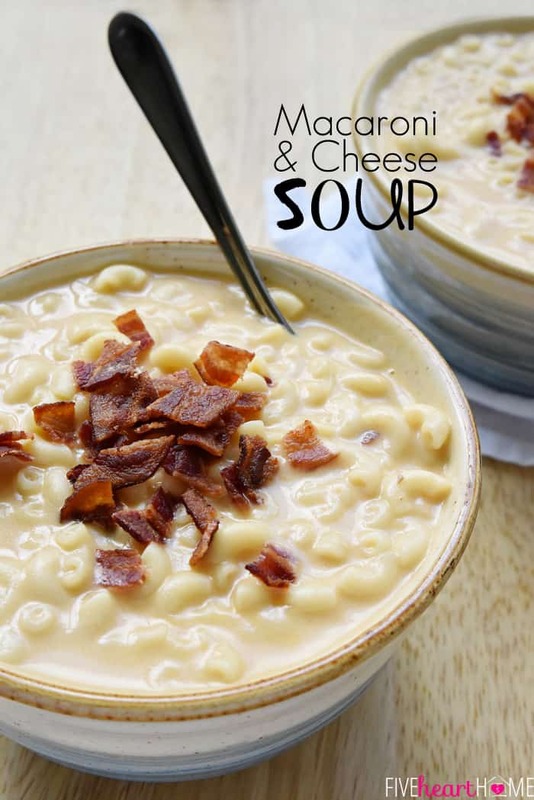 But I haven’t made this soup since last winter and I honestly can’t remember how high up it goes in the crock pot, so your larger crock pot would probably be the safer bet. Enjoy! This is great! It wasn’t creamy or potatoey enough for our tastes, so before serving (while it was heating through the last 15 minutes with the heavy cream), I added some cheese and a bag of instant potatoes (Betty crocker brand – four cheese 100% real potatoes) and it was perfect! Gave it that creamier, thicker consistency we love. 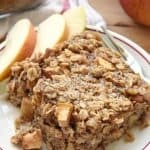 My picky eater loved it so thank you for posting this! 🙂 great use for leftover Christmas ham! This soup is simmering away in the crockpot, and will warm my family’s tummy tonight.